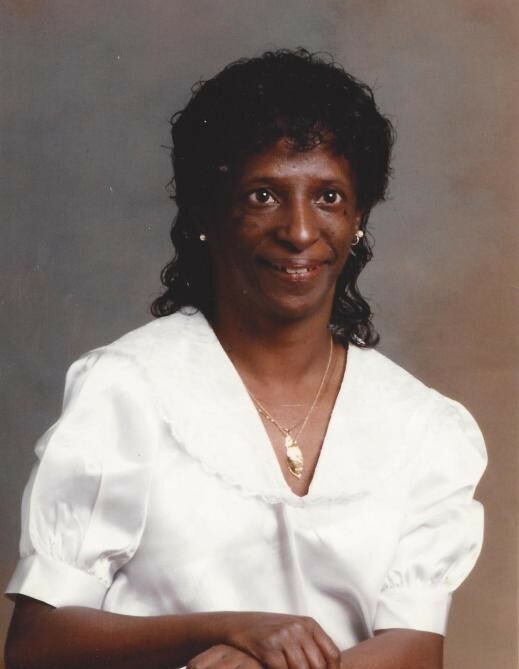 Obituary for Jacquelynne Kay (Woodard) Boswell | Thatcher's Funeral Home, Inc.
Jacquelynne “Jackie” Kay Woodard-Boswell, age 75, passed away peacefully surrounded by her loved ones at Providence Hospital in Kansas City, Kansas. She was born July 13, 1943, in Kansas City, Missouri, to Robert and Odell Woodard Sr. who preceded her in death. She was youngest of three children, her siblings are Robert Woodard Jr. and Vernon Woodard. After tuberculosis took both of Jackie’s parents, the children moved to Kansas City, Kansas in 1949 to live with their Grandparents Leroy and Charlene Thomas Sr. Jackie then attended Vernon Elementary School then graduated from Washington Rural High School showing a great interest in social work. After high school Jackie fell in love and her son Craig Kent Woodard was born in 1961. For many years Jackie was an active and dedicated member of Mount Sinai Missionary Baptist Church. Occasionally she would attend other Baptist churches, but her allegiance belonged to Mount Sinai which she served faithfully. In 1991 Jackie met the love of her life, Frank Boswell. Jackie and Frank were married in 1991. Jackie lived a selfless, kind and generous life to her family, friends and community. Jackie was a member of the Quindaro Club that promotes the history of Quindaro, via various fundraisers: sold printed Quindaro history booklets, t-shirts and assisted with the enormous annual Quindaro picnics that so many enjoyed at Quindaro Park. Jackie worked for many years at the YMCA in Kansas City, Kansas as a facilitator and a receptionist. Due to Jackie’s concern for the tenants, she provided services to the physically, mentally and socially disadvantaged and individually took on the responsibility for each tenant’s problem. Jackie enhanced the organization’s program services and social conditions for the betterment of the tenants. Jackie was the glue who joyfully kept the family together. She was official hostess for everything from cookouts, to birthday parties, and New Year’s Day… It did not take much for Jackie to open her home to all her family and friends for many and any occasion. We will all feel the warmth in our hearts every time we think of Jackie, because we cannot help but remember the love and joy brought to us by Jackie’s love for keeping her family, friends, and community together. Jackie will be remembered by her Husband Frank Boswell; her Son Craig Woodard; Her Grandchild Takeisha (Tuttie) Hopkins; Her Brothers Robert Woodard Jr. and Vernon Woodard; 4 Aunts: Carolyn Bradley-Berry, Kay Frances Malone, Roslyn Thomas and Janet Thomas; Uncle Leroy Thomas; Her special cousin and best friend Vanessa Claborn; Cousins David Claborn and Janet Gail Berry Tate; Her special friend Patricia Martin; A host of dear family members and friends.